Since this blog was created in 2008, we have attempted to bring readers timely information on novels set in the Tar Heel State. Our focus has been on recently published novels from the full range of publishing houses, and even self-published novels as we became aware of those works. As time permitted, we added information on older novels set in North Carolina so that the blog could function as a source of information on North Carolina novels across the decades. The blog posts were created chiefly by one staff member and a series of talented graduate students. Now all those graduate students have gone on to their careers and the staff member has retired. Readers who have grown used to our twice weekly posts will be disappointed because the appearance of new posts will be unpredictable until a new staff member is hired later this year. But the blog will not be stagnant if authors and readers continue to share news of new novels and comments about their favorite North Carolina novels. In this interim, while we await a new staff member, let’s hear from you. Let this be your season. Elizabeth Langston. Whispers from the Past. Contoocook, NH: Spencer Hill Press, 2014. Mark Lewis is in his last year of high school in modern-day Raleigh, North Carolina, and graduation is fast approaching. Mark had originally planned to send in applications to three schools, with Newman College in Virginia being his first choice; the main reason being that the campus is perfect for his passion of mountain bike riding. However, Mark has now added a fourth school to the list. Mark is applying to Duke University because of its close proximity to home and to his girlfriend Susanna Marsh. In the past year, Susanna has become Mark’s passion. After saving Susanna from the horrific circumstances of her indentured servitude in 1796, and bringing her back to his century, Mark has assumed responsibility for Susanna. He cannot see himself moving over three hours away from her for four years. But, the choice may be taken out of Mark’s hands when Susanna makes some decisions of her own. While Mark has his worries, Susanna believes that she is becoming accustomed to her new life. She now lives with Melissa, Mark’s sister, and pays her own way with chores and a fourth of the rent money. Also, Susanna has found a job bussing tables in a restaurant and is making friends. But, Mark is quick to show his disapproval of Susanna’s new job and of her new male friend. These controversies leave Susanna not as sure in her relationship with Mark as she usually is, and she soon finds herself seeking out the familiar in the only way she knows how. Susanna takes a trip to the archives. Soon Susanna has more to worry about than Mark. There is a storm that will come through Susanna’s hometown of Worthville and result in many deaths. Susanna combs the archives for mention of Dorcas, one of the children she used to take care of and her closest friend, any time after the storm. When information is not there, Susanna decides to take things into her own hands and comes up with a plan that will ensure that Dorcas survives the storm. The only problem is that this plan will cost Susanna her freedom and maybe even her life. Mark and Susanna are coming up on a year since they met and developed a bond that crossed centuries. Much has happened in the past year and there is much to come in the next few months. The question is, will Mark and Susanna’s bond be able to cross centuries once again? 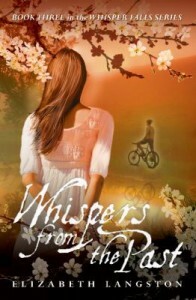 Whispers from the Past is the third novel in the Whisper Fall series. Susanna and Mark first met in Whisper Falls, and their story of a magical waterfall and transcendent love continued in Whisper in Time and is finalized in this novel. Elizabeth Craig. Shear Trouble. New York: Penguin Group, 2014. In order to ensure that quilts are finished in time for the upcoming quilting show, the Village Quilters of Dappled Hills decide to have a quilting party. However, the party is unexpectedly interrupted by Beatrice Coleman’s discovery of Jason Gore with Phyllis Stitt’s shears sticking out of his body. The same shears that Phyllis was just complaining about having lost and that Beatrice set out to find. Phyllis shouldn’t have even been at the quilting party! Phyllis is actually the member of a rival quilting team, the Cut-Ups, and she wanted to come to the quilting party in the hopes that she could join the Village Quilters since her fellow Cut-Up member, Martha Helmsley, is now dating Phyllis’ ex-fiancé Jason Gore. But, Phyllis was not to escape the couple as Martha decided to join the quilting party as well and have her fiancé stop by. Everyone seems shocked to learn of Jason’s murder occurring, but none are surprised that someone would want to murder him. Jason has just returned to Dappled Hills after having been gone for quite some time. The first time he came to Dappled Hills, he ended up running out on Phyllis after scamming people out of their money. Because of this, there are quite a few suspects for Jason’s murder. 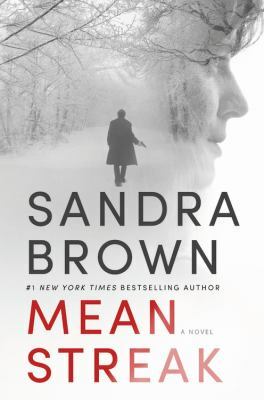 Beatrice’s best friend Meadow is soon encouraging Beatrice to use her sleuthing skills to uncover the truth, but what Beatrice finds might just end up costing her life. One finding is that there is an eyewitness, but he refuses to go to the cops. Maybe he doesn’t even know anything. Nevertheless, when this claimed eyewitness ends up murdered as well, Beatrice must admit that he might have been on the right track. As Beatrice continues on the hunt for the culprit, it becomes clear that this killer will halt at nothing to get away with these murders, even if that means committing another. 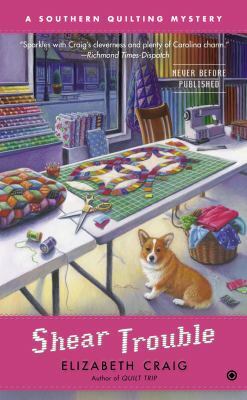 Shear Trouble is the fourth novel in novelist Elizabeth Craig’s A Southern Quilting Mystery series. If you are interested in starting at the beginning of the series, take a look at our blog post on the first novel in the series, Quilt or Innocence. Check out this, Shear Trouble, title’s availability in the UNC-Chapel Hill Library catalog. Denise Grover Swank. The Curse Breakers. Seattle, WA: 47North, 2014. Ellie Lancaster has been confronted with the horrible reality of the curse that she spent her whole life denying. At twenty-three, Ellie has always lived in the small town of Manteo, on Roanoke Island. Like many young people she oftentimes felt out of place, like she would never fit in, and she would never find her purpose. That is until she met Collin Dailey and realized the four hundred year old curse that her father kept muttering about is real, and she and Collin are the two Curse Keepers. Meeting Collin was fate and their loved seemed like fate too, a bond that couldn’t be broken, but then Collin betrayed Ellie. 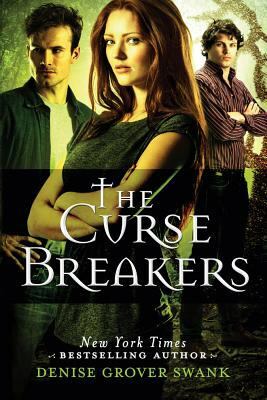 Instead of fighting alongside Ellie to maintain the curse and the keep the spirits locked away so that the world would remain safe, Collin tricked Ellie into breaking the curse. Now all the spirits have been released and they want Ellie’s soul. Even worse, Ellie’s father sacrificed himself to close the gate to the underworld, so Ellie is left on her own to figure out how to save herself and the rest of the world. Her first step in doing so is to find the mark of Ahone so that she can permanently tattoo it upon herself. This will protect her soul from being taken by the malevolent spirits, but will it protect her from death at their hands? And why won’t Ahone reveal his mark to her? Not only is Ellie facing malevolent spirts, but she is also being hunted by men that she and Collin sold some items to. Thanks to Collin, they believe that Ellie knows something about a stolen artifacts shipment and will stop at nothing to get the information out of her. The one good thing going for Ellie right now is the fact that she might have found someone who can help her. She tracked down a Native American Studies professor at UNC-Chapel Hill, Dr. David Preston, and has convinced him to help her. Then again, the last time she thought a guy was helping her, he was actually using her. Can she trust David or will he turn on her just as Collin did? When Ellie finds herself attracted to David, she must make the choice to take a chance on him or to push him out of her life. Will she be able to take that chance when her soul is entwined with Collin’s? Whether she does or not, there is still evil to be fought and Ellie must prepare to face her destiny. In this second novel in the Curse Keeper series, Ellie is getting ready to fight the battle of a lifetime while struggling with her own internal wars. 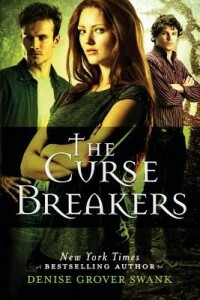 If you’re new to the series check out our blog post on the first novel The Curse Keepers. Ellie Grant. 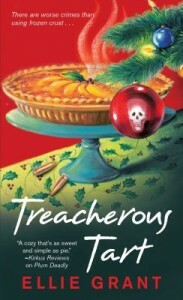 Treacherous Tart. New York: Pocket Books, 2014. Maggie Grady has been enjoying seeing her Aunt Clara celebrate the wonders of Christmastime in Durham, North Carolina with her new love, Donald Wickerson. So it is no wonder that Maggie’s Christmas mood is completely ruined when her boyfriend, Durham Weekly newspaper reporter Ryan Summerour, presents Maggie with evidence that Donald is not what he seems. Instead of being the caring and trustworthy man that he presents himself to be, Donald is a male black widow. Donald has had six wives in the past and all of them suffered suspicious deaths. He has been investigated for every death, but has escaped charges. However, the evidence against him is condemning. Faced with breaking her Aunt Clara’s heart, Maggie just doesn’t know what to do. When Maggie finally gets up the courage to tell Aunt Clara, she won’t hear any of it. Her wonderful Donald could never do such a thing. Wouldn’t Maggie be upset if Aunt Clara suggested Ryan was capable of hurting someone? The news spreads when Ryan puts a picture in the paper with his article on Donald’s philandering ways. It looks like someone must have believed it because that same day Donald stumbles into Maggie and Clara’s shop, Pie in the Sky, bleeding from a bullet wound. Now, as the girlfriend of the victim, Aunt Clara is under suspicion for Donald’s death. Maggie isn’t going to let her aunt end up in jail over a murderous scoundrel, so she and Ryan start digging for more information on Donald and for possible suspects. They soon find out that there are a lot of people who could have wanted Donald dead seeing as he was dating more than Aunt Clara at the time of his death, not to mention the family of Donald’s supposed victims. Just when it looks like Ryan and Maggie are onto something, another crime is carried out. Will Maggie be able to find the murderer before anyone else gets hurt? Also, Donald wasn’t the only person in town with something to hide. Will the secrets uncovered shed light on the crimes committed or will they only add to the confusion? Treacherous Tart is the second book in the Pie in the Sky mysteries. Felicia Mason. Hidden Riches. New York: Kensington, 2014. Ana Mae Futrell spent her life taking care of others. Now it’s her siblings and loved ones turn to return the favor by carrying out Ana Mae’s last wishes outlined in her will. This involves a reluctant return, and longer stay than expected, in Drapersville, North Carolina – a fictional town near Ahoskie, North Carolina. 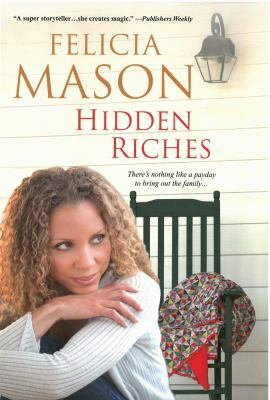 There is a lot that Ana Mae’s siblings don’t know about her, such as she’d won big on a lottery ticket and she had a son, but they’re going to learn about Ana Mae now. Ana Mae’s estate consists of 3.8 million dollars and she has left clues that must be solved in order to claim the money. The clues are sewed onto a quilt and the first to uncover all the clues and discover the meaning of the quilt will inherit the millions. If the siblings cannot determine the meaning of the quilt or are unwilling to play by Ana Mae’s rules, then the money goes to Diamond Jim and Bay Sue – Ana Mae’s Cats – and “Too Sweet,” better known as Reverend Toussaint, with whom Ana Mae shared a special past. Ana Mae was a virtuous woman – one who believed in God and family. This quest will bring her family closer than they have been in years. The oldest of the siblings is Marguerite, better known in her hometown as “Delcine”. Delcine and her husband, Winslow, both work for the government, and are pretty well off, or so it would seem. In reality, Delcine and Winslow are no longer taking exotic trips and can barely afford to rent a hotel for their stay in North Carolina. Actually, they can’t even afford to do that as they are bankrupt, and Winslow is facing an indictment. Delcine is determined to get this money for her family. Next up is Josephine, who goes by JoJo. JoJo is trying to escape the fast life of Las Vegas along with her good-for-nothing husband Lester. JoJo made it big for a while as a showgirl, but now that she’s older and gained a few pounds, she’s just ready to settle down. That can’t happen with Lester around, and now that he’s caught the scent of millions she might never be rid of him. Moving back home to North Carolina is looking like a great idea. JoJo misses the simplicity and knows Lester won’t be able to stand being in such a slow paced environment. JoJo wants the money so that she can begin a new life and doesn’t mind sharing it with her siblings. Along the journey, JoJo just might learn some things about Ana Mae that help her to see herself in a new light. Lastly is Clayton, the baby boy of the family and the most successful of them all. Clayton is a doctor married to a lawyer. The only catch is he’s married to a male lawyer, Archer. Anyone from a small Southern town knows that most of the people aren’t accepting of those who are different. A gay black boy was the epitome of different when Clay was growing up, and he couldn’t wait to escape North Carolina. Clay and Archer don’t need the money, but they soon discover that this quest is about more than money. It’s about getting to know the woman that was Ana Mae–and Clay may have more to learn than his siblings. Hidden Riches is a tale of family, the changes that can occur, and the differences that can get in the way. This is a novel that many families can relate to. Ellie Grant. 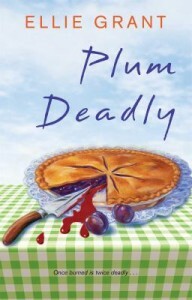 Plum Deadly. New York: Gallery Books, 2013. Imagine being accused of theft by your employer and being escorted from your office that very day. And having all your accounts frozen. And having a guard stationed at your apartment to keep you from selling any valuable possessions. All this happens to Maggie Grady, the main character in Plum Deadly, the first book in a new series of cozy mysteries set in Durham, North Carolina. With not much more than the clothes on her back, Maggie leaves the Big Apple and heads to Durham where her Aunt Clara welcomes her with open arms. Aunt Clara and Uncle Fred raised Maggie after her parents died in a car crash, but once Maggie left for New York, she didn’t keep in touch with her aunt and uncle. Maggie’s guilt about this is almost crushing, but Aunt Clara doesn’t acknowledge the slight. Since Uncle Fred died, Clara has been struggling to keep her bake shop open. Maggie’s reappearance is a pure blessing to Clara. In no time at all, Maggie has brought order to Clara’s accounts and cleaned up both the shop and Clara’s house. Maggie is just about ready to take on the developer who wants to buy Aunt Clara’s building when trouble strikes. Her former boss, Lou, appears at the pie shop to tell Maggie that he knows that she is innocent and who actually stole the $3,000, 000. But hours after Lou makes this startling announcement, his body is found in the alley behind the pie shop. He’s been poisoned. Now Maggie looks to be not just a thief, but a murderer too. Rather than helping Aunt Clara with the business, Maggie’s presence is hurting it. But that just provides added motivation for Maggie to clear her name. Will this crisis bring the two women closer together–and will the pie shop survive? Readers who try the recipes at the end of the book will no doubt be rooting for Maggie and Clara to prevail. Jennifer Estep. Killer Frost. New York: Kensington Publishing, 2014. Gwen Frost is just settling down from her last battle with the Reapers, in which her boyfriend Logan was possessed and forced to turn against her. Now Logan and Gwen are out on a double date with Gwen’s best friend Daphne and her boyfriend Carson, and everything is becoming normal again. Nevertheless, there is one moment that dampens the mood – apparently other students at Mythos Academy are betting on when the Reapers will show up next and if Gwen will be able to stop them. As the goddess Nike’s chosen champion, it is Gwen’s duty to kill the god Loki and stop his Reapers from taking over the magical world. However, Gwen has not shared this bit of information with her friends. The reoccurring bet is that the Reapers will show up at the Valentine’s Day dance, but Gwen thinks it has been too quiet and is expecting something to occur before then. She turns out to be correct. The Reapers attack while Gwen and her friends, along with the Protectorate, are transporting artifacts to Mythos Academy. When Gwen foils their plans, Vivian, the champion of Loki, and her mentor Agrona strike back at Gwen – and they make things personal. Gwen is forced to make a hard decision – to lose yet another person she loves or to risk the lives of everyone in the magical world by giving Loki an artifact that could bring him back to full strength. If you’ve been following the series and know Gwen, it’s not hard to guess what path she chooses. With Gwen’s choice, the final battle between Gwen and Loki begins. Gwen’s destiny is to kill Loki, but she can’t envision how to do so without losing herself. Before this tale ends, Gwen will have another difficult choice to make–she must choose her fate. 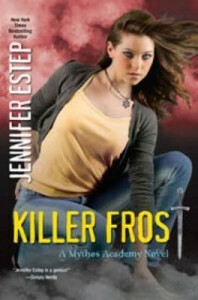 Killer Frost is the sixth and final installment in the Mythos Academy series. Estep continues to make her characters relatable – what teenager could sentence a loved one to death for the good of all? These supernatural characters are still everyday teenagers, and this is just one of the appeals of this series. In this sixth novel, readers will learn what exactly is needed to defeat an evil such as Loki. Young adult readers ages 13 and up will enjoy this mythological urban fantasy series. Are you new to the series? Then check out our post on the first novel in the Mythos Academy series, Touch of Frost. Or, check out this title’s availability in the UNC-Chapel Hill Library catalog. Sandra Brown. Mean Streak. New York: Grand Central Publishing, 2014. Dr. Emory Charbonneau is a pediatrician who co-owns her own practice. Emory is well-known and liked by all who know her, and she has a good reputation. In addition to being a successful doctor, Emory is a renowned philanthropist, who not only donates to worthy causes but actively participates in raising awareness of what needs to be done. One of the ways Emory contributes is by taking part in marathon races. Emory is off training for a very special race when she disappears in the mountains near Nantahala, North Carolina. When her husband Jeff finally reports Emory missing, suspicion quickly falls upon him. It soon comes out that Jeff had more than one reason to want Emory gone. Meanwhile, Emory has suffered a suspicious head injury and has awakened to find herself held captive by a man that won’t even share his name. Her captor claims that the fog and ice are keeping them both confined as he won’t risk driving down the treacherous mountain in such weather. But why won’t he tell Emory anything about himself? Is it because he has something to hide? Is he running from the law? Was he the cause of the mysterious gash on Emory’s head? As time passes, Emory finds herself beginning to trust the sincerity of her new roommate but is unable to tell whether this is because his story rings true or because the reactions of her body are overruling the caution of her mind. Emory is willing to do anything to survive, even if that means seducing this secretive stranger. While secluded in the mountains, Emory and her mystery man encounter a family with a young woman in need of medical help. The men of this family bring the term hillbilly to a new level and give off a dangerous vibe of their own. In order to help the young woman of this family, Emory must be willing to break the law. She said she would do anything to survive, but will Emory be able to stand by while her mystery man dishes out punishment to these men for their crimes? After Emory is returned safely home, the danger seems to have passed. Nevertheless, there is more deception to be revealed. Did Emory fall during her run or did someone mean for her to disappear forever in those mountains? Marybeth Whalen. 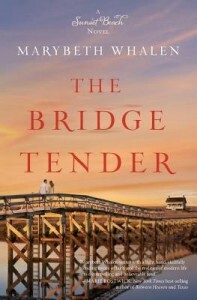 The Bridge Tender. Grand Rapids, MI: Zondervan, 2014. In July of 2001, Emily Shaw made her first trip to Sunset Beach, North Carolina with her husband Ryan. It was a magical honeymoon, so magical that the two made a promise to someday have a house there. It is presently March 3, 2006, and Ryan and Emily have never made it back to Sunset Beach. This date has not been of past importance to Emily, but now, in 2006, it has become one of the worst days of her life–one that will forever be branded into her memory. Today is the day that she must say goodbye to her husband. Emily was so sure, up until the very end, that Ryan would win the battle against cancer. She has no idea how she is going to go on without him, and is nowhere near ready to let him go. So, when Paul Griffin, a lawyer, comes to Emily stating that he has information left for her by Ryan, she jumps at the chance to have this last connection with him. Griffin reveals that Ryan had another insurance policy, one that he kept secret from Emily. He gives Emily a letter from Ryan which details that the policy must be used for one thing, to buy a home in Sunset Beach where a future awaits, “…bright as that sunshine we walked in, as warm as those days we spent on the beach together, as happy as you’ve made me[Ryan].” Emily’s best friend Marta eagerly pushes her to go, but it isn’t until a year later that Emily forces herself to return to Sunset Beach so that she can keep her promise. During her search, Emily meets a kindred spirit, another woman tied to a promise made long ago. This marks the start of many new meetings and developing friendships that will show Emily she is needed, there is hope, and that she is loved and can learn to love again. 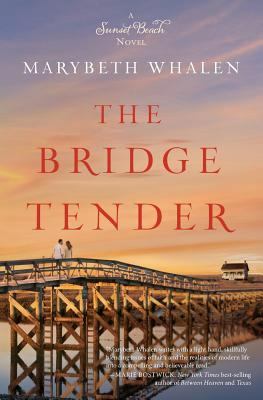 The Bridge Tender is fourth in the Sunset Beach series, a series filled with love lost, hope renewed, and chances taken. Check out The Bridge Tender’s availability in the UNC-Chapel Hill Library catalog. If you’re new to the series, check out our blog post on the first title The Mailbox.